Havis Inc., a leading manufacturer of mobile office solutions for mobile professionals, has announced the launch of vehicle-specific and universal mobile office mounting solutions for a wide range of 2017 vehicles. Havis consoles, equipment mounting and computer device docking solutions are specifically designed with vehicles and mobile professionals in mind to create a comfortable mobile office built to the highest safety standards. Havis’ broad portfolio of rugged products provides secure mounting solutions for 2017 vehicles across a variety of markets, including utility and energy services, public safety, material handling, military, transportation, railroad and more. Mounting solutions are available for Chevrolet, Chrysler, Dodge, Ford, Freightliner, GMC, International, Isuzu, Jeep, Honda, Nissan and more. Havis works directly with OEM partners to develop vehicle specific equipment mounting and computing solutions that maximize productivity in mobile offices. Havis equipment mounting solutions are tested to the industry’s highest safety standards, including vibration and environmental testing to ensure quality performance in the most rugged conditions. To learn more about Havis equipment mounting solutions and to identify the right solution for your vehicle, visit Havis’ online product catalog. For more information on planning for a mobile office upfit, download Havis’ free Professional Installation and Upfit Guide. 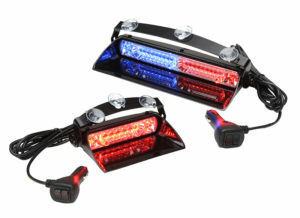 The M Series lightheads have been updated to allow Low Power activation in the Steady and Signal Alert™ Steady patterns. Low Power intensity has 5 levels. To select apply 12 volts to the power and low power wires, then use the Scan-Lock™ wire to cycle through intensity. Havis Inc., a leading manufacturer of mobile office solutions for mobile professionals, has introduced the PKG-KB-201 package with rugged USB backlit keyboard and patent-pending keyboard mount with integrated quick release functionality. The rugged system is ergonomically designed to maximize comfort and increase productivity in any mobile office. The Havis KB-101 is an IP65-rated rugged keyboard with standard USB connection with water resistant cap to allow for connection to a docking station or directly to a computing device. The keyboard includes 89 red monochrome-illumination backlight keys, including 12 function keys, to reduce eye strain, and a multi-touch, two-finger mousepad for cursor and scroll functions. The rugged keyboard includes an emergency button to invoke “help” mode for added security. The keyboard is compatible with Mac and Microsoft Windows 7, 8, Vista, XP, 2000, ME and 98. The new PKG-KB-201 system also includes Havis’ patent-pending rugged keyboard mount made of high-performance PC-ABS thermoplastics for outstanding strength, heat resistance, feature definition and surface finish, reinforced with a mount plate of glass fiber polymer for added durability. The mount has forward/backward function from the front with a 3.875” range and a quick release function from the front for easy keyboard removal to allow users to adjust the rugged keyboard to a comfortable position. The combined system weighs 3 lbs. Havis docking stations, equipment mounts and displays are tested to the industry’s highest safety standards, including vibration and environmental testing for extreme operational and storage temperatures to ensure quality performance in the most rugged conditions. The PKG-KB-201 is certified with CE FCC and RoHS keyboard certifications. For more information, visit http://customers.havis.com/index.php/product-news/rugged-keyboard-and-mount-system or contact your Havis representative. 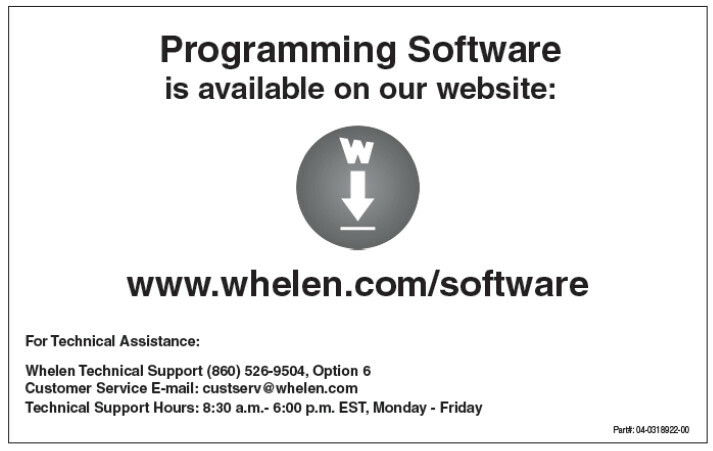 Please get all your software from the updated software page shown below – It will no longer be supplied with the equipment. This will ensure you only have the latest versions that will automatically update when connected to the internet. 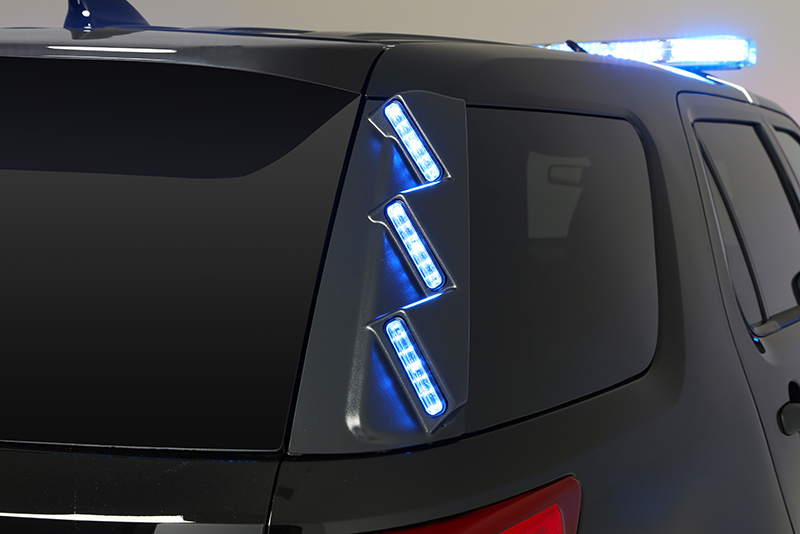 Newly designed featuring six ION™ lightheads, Whelen’s Outer Edge Rear Pillar Series is engineered for weather and vibration resistance and is available with SOLO™, DUO™, or TRIO™ technology. All new vacuum formed housings provide easy serviceability and conforms to vehicle back pillars. Models are available in low current or WeCan® compatible. WeCan compatible models require a remote flasher, CenCom Carbide™, CanTrol®, or REMOTE16 module, purchased separately. The new Outer Edge worksheets will be available on wechome shortly. 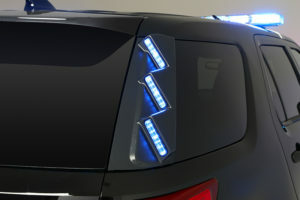 With their compact and inconspicuous design, Whelen’s all-new Avenger II dash lights are now available in dual models. With newly designed combination Linear/TIR optics for high intensity warning, and illumination, and a smaller profile to maximize space for optimal versatility, the Avenger II builds on the Avenger’s reputation for excellent functionality and efficiency. The Avenger II is available with SOLO, DUO, or TRIO technology.